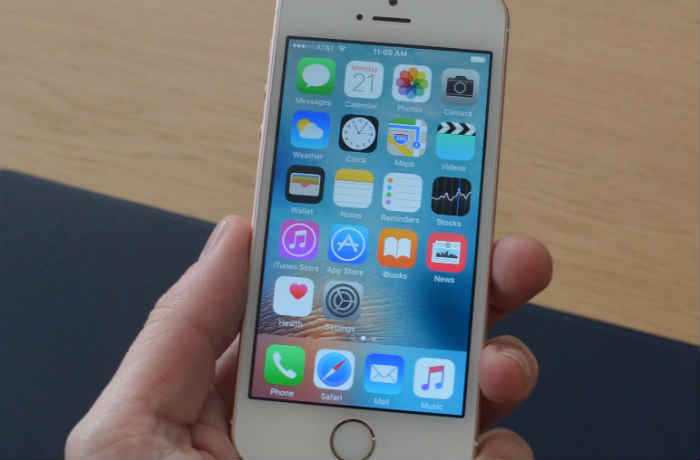 Having some troubles and need help with your #Apple iPhone SE (#iPhoneSE) that is stuck on ‘waiting’ status and cannot proceed with apps download, installation, or update to the latest version of iOS? We’ve got you covered. This post outlines some highly recommended workarounds and efficient methods used to deal with the problem so just keep reading and get help. In response to a similar problem relayed to us through email by one of our site readers, we have gathered essential information as to the possible causes of the problem along with a rundown of potential solutions and applicable workarounds suggested by other iPhone SE owners who have dealt with the same trouble while attempting to download, install, update apps, as well as when upgrading the same iPhone to the most recent iOS version released by Apple. Why is your iPhone SE stuck at ‘waiting’ during apps download, installation, or software upgrade? Several factors can lead to your iPhone into being stuck on the ‘waiting’ status while performing software updates, or downloading or installing an application. Among the commonly identified culprits would include network issues or outages, insufficient storage on the iPhone, and unavailability of Apple Server due to network congestions and the like. There are also other instances in which the problem is tied to insufficient memory and apps running in the background. While this problem doesn’t usually happen, there are certain cases where this might occur all too often. Read on to learn how each of these factors affects your iPhone’s syncing functionality, putting your device into the ‘waiting’ state, and hindering the completion of pertinent processes. Network issues or intermittent connectivity. Intermittent or unstable network appears to be the most common culprit in several instances. Network instability or intermittent connectivity can be a result of an outage, regular network maintenance by your ISP, or poor signal strength. In this case, you might be seeing the ‘waiting’ prompt as your device is still trying to get a stable connection to establish strong connection to the Apple Server but couldn’t proceed because the connection keeps cutting off. Unless you abort the process, your device will keep trying to establish connection with the server and complete the task if possible. In this case, you need to deal with and fix any problem with your network before you proceed with the apps download or software update installation on your iPhone. Memory issues or insufficient memory. Sometimes, insufficient memory can also put your iPhone in this state while doing some apps download or software upgrade. Basically, your device wouldn’t be able to store more contents including new apps, if there is not enough space to allocate them. With time and usage, your iPhone’s storage capacity may run out especially if you are among those who are fond of adding graphically intense or complex apps on your device. When your iPhone storage is running low, its performance will also become limited. Before you proceed with the apps download or software update, check the minimum system requirements for every app comes with different file sizes. However, some apps will let you know if you can or can’t proceed with the download or installation if the remaining storage space on your device is not enough. Server is unavailable or App Store server is currently busy. There are times when the server reaches its peak and will no longer take additional requests to process, thus putting you on the ‘waiting’ state. The often happens when a major software update is rolled out and made available for download and installation. What happens is that the number of download requests for the same content or app is higher than what the server can actually handle. As a result, the rest of the later requests will be put in queue and shall be processed once all requests in the priority queue are completed. As a way to let you know that your device is still trying to complete the action, you are prompted with the ‘waiting’ screen. Eventually, that screen will be gone once the server is able to accommodate more new download requests including yours. Apps running in the background. Meanwhile, other iPhone users have found the ‘waiting’ problem was linked to or likely triggered by some running apps in the background. For some reasons, performing apps downloads or software installations while running several apps have affected the iPhone’s syncing functions thus putting the device in the waiting state for too long. What to do in order to get past the ‘waiting’ screen and proceed with apps download, installation, or software upgrade on your iPhone SE? The following workarounds are only based on the underlying cause, thus they are referred to as generic solutions. That being said, you should try to identify the possible cause before you begin troubleshooting the problem. Doing so will help you save time and effort in working with any other potential fixes. You may start whenever you’re ready. Start with the simplest available solution. So if this is the first time that you are stuck at ‘waiting’ while trying to download apps or software update, restarting your iPhone might just be the thing you need to do in order to fix it. A simple restart can fix several devices issues caused by minor software glitches including those that may have triggered your iPhone to be stuck at waiting during apps download or iOS update attempts. To restart your iPhone SE, just press and hold the Power button until you see the red slider. Move to slider to Power off your device. Wait for 30 minutes, and then press the Power button again until the Apple logo appears on the screen. After the restart, try to download the app or install software update again and see what happens. Alternatively, you can do a force restart on your iPhone. A force restart is often recommended in instances where performing a standard restart is not possible. This process also otherwise referred to as a hard reset. It’s safe and proven effective in fixing various device issues that are software-related. To force restart your iPhone SE, press and hold the Power button and the Home button simultaneously for at least 10 seconds and release both buttons when the Apple logo appears. Your iPhone should then reboot and by then you may proceed with re-downloading or re-installing of the apps or iOS update on your device. Don’t forget to check your network or signal indicator. Many of these who have encountered this same problem weren’t able to fix it using any of the potential solutions only to find out in the end that it is network-related. If you are on 3G/LTE, make sure there are no network issues. When using Wi-Fi connection, check and see if the Wi-Fi signal is stable and strong. You can try to reboot or power cycle your wireless router/modem and then try to re-download the app or update iOS on your iPhone afterwards. Switching between available networks can also help isolate if the problem is specific to the network you are using. You might as well consider checking for any possible outages affecting network services in your location. Once you’ve fixed any occurring network issues, delete the app that is currently installing and then download and install it from the App Store again. To delete an app that is currently installing, just hold on it and then press the Delete button when it jiggles. Sometimes, you may not be able to perceive it but your iPhone is already running out of storage space. Without sufficient storage space, your device wouldn’t be able to proceed with the download as there’s no more enough space to allocate additional contents. To verify and ensure that your iPhone SE still has sufficient storage space for additional files or contents, head over to Settings-> General-> Usage, or Settings-> General-> Storage and iCloud Usage. Note: Menu options may vary depending on the device model or carrier settings. In the case where the app is stuck on ‘waiting’ view the memory usage details and if you see that app on the list, tap on it and then click on the option to Delete App. Doing so will clear the download and thereby allows you to re-download the app. If necessary, you can remove or uninstall any unwanted or unused apps or contents like old photos, videos and messages from the iPhone. Otherwise, you can backup other important files by moving them to a computer or other storage media, including iTunes or iCloud. Another efficient tool you can use to manage your iPhone storage is the iTunes program. All you have to do is connect your iPhone to a computer with the latest version of iTunes installed and then access your iPhone’s Manage storage option to view details of apps that show how much storage each of these apps takes over the amount of storage capacity. Minimizing the use of animated widgets can also help reduce memory use. Replace live wallpaper with a still one or remove unnecessary widgets, if necessary. Be sure to manage your apps so as to keep your device running smoothly and evade from such problem to occur or interfere further apps downloads or software upgrades your iPhone has to carry out. Other possible factors that can inflict the same problem on your iPhone while attempting to download or install new apps are apps running in the background. If by any chance you are stuck on the ‘waiting’ status and that you have a lot of apps running in the background, this might be the one to blame. Multiple apps running in the background can slow down your iPhone system quite a bit and perhaps being stuck at waiting is among its pertinent symptoms. To fix this, navigate to the task manager to view running apps on your iPhone and then close them. To access your iPhone’s task manager, just double-press the Home button and after that you should see a screen that contains all apps that are currently running. Close or quit all apps that are running in the background. This action is also a way to clear up your iPhone’s memory and makes it perform faster. After that, try to download the app again. Sometimes, the same problem can happen on your device when the server is unavailable, unstable, busy, or clogged. For example, your carrier’s or Apple server can become clogged when major iOS update is currently up for grabs. It means that an unusual volume of requests from end-users is present. Generally, you will be prompted with some warnings or error messages, telling you about the current server status which is likely unavailable due to the high number of similar requests for software download. During this instance, the server is no longer able to take any more requests from end-users and therefore placed you in queue among others. In this case, you’ve got no choice but to wait until the server is once again available and ready to take additional requests in queue for processing. Connect your iPhone SE to the computer. Once your iPhone is recognized in iTunes, force it to restart and put it in recovery mode. To do so, just press and hold the Power button and the Home button simultaneously but this time, do not release both the buttons when you see the Apple logo. Instead, release both the buttons when the Recovery Mode screen appears. You should then see an iTunes prompt asking you if you would want to Update or Restore your device. Tap to select Update to proceed with software update installation and upgrade your iPhone iOS to the latest version available. Wait until the update is complete and then proceed with the device setup process. If the setup process takes more than 15 minutes, it means a need for you to repeat the first step until you get to the Recovery Mode screen. Hopefully that will fix the problem. Otherwise, try other options. Contact Apple Support or your carrier for more help. So you have done all possible solutions and applicable workarounds but only to end up having your iPhone SE stuck at ‘waiting’ and couldn’t proceed with the apps download or software installation. At this point, I suggest contacting your carrier or Apple Support to escalate the issue and ask for further assistance and recommendations. Also let them know about everything you’ve done so far, so as to give them a hint on where to start and what else to work on to fix the problem.